Check out the DULUTH HIGH SCHOOL SCHOLARSHIP BLOG as it's updated weekly! There's a lot of money up for grabs, so be sure to apply! NOTE: Priority will be given to students attending public schools or colleges/universities in the state of Georgia. 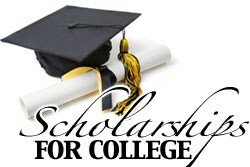 Scholarships by topic such as Major, Grade Level, Religion, Athletics, Gender, Disability, Minority, etc. http://www.goldendoorscholars.org - Golden Door Scholars provides scholarships for DACA students and scholarships for undocumented students. Students may be high school seniors or recent graduates. Preference will be given to high school graduates from states that require undocumented students to pay out-of-state tuition. Below is the presentation that was presented at Senior Parent Night on 9/26/18 by Hal Wilkerson. Going Merry is a free scholarship application platform to help students find, apply, and win scholarships from one site. ● Direct applications - Apply directly to multiple scholarships from one site. ● Auto Filled applications - Applications are auto-filled from the information in your profile for each application. ● Estimated application time and difficulty level are estimated to help prioritize. ● Scholarships are grouped by essay topics for common essay questions so you can minimize the number of essays you have to write. Add your basic information, interests, and school details and you are matched to scholarships to which you’re eligible. Submit applications directly to any scholarship. Learn more at https://www.goingmerry.com. Each year, LEDA recruits a new cohort of Scholars! Who: 100 qualified high school juniors who show leadership potential but lack the exposure and support they need to attend highly selective colleges. LEDA Scholars receive leadership training, writing instruction, standardized test preparation and a year of highly personalized guidance as they navigate the application and admissions process at the most competitive colleges. Throughout college and beyond, Scholars are offered ongoing advising, career counseling, postgraduate planning and community-building support to help them succeed and lead. Please visit http://ledascholars.org/ for more information and to apply.